CBD is known to have potential for treating a wide array of health conditions. The cannabinoid is largely non-toxic, but does it have any side effects? CBD is a natural chemical derived from the cannabis plant. The compound belongs to a classification known as cannabinoids, which are found both in cannabis (phytocannabinoids) and the human body (endocannabinoids). CBD has become incredibly well-known in recent years for its ability to assist in the treatment of symptoms of an entire host of illnesses and health conditions. Of particular interest are the antioxidant, anti-inflammatory, neuroprotective, and anti-convulsant actions of the compound. CBD is a more potent neuroprotective antioxidant than both vitamin C and vitamin E. Research has also shown its effectiveness in treating cancer cells in vitro. Higher doses of the cannabinoid are postulated to be therapeutic for various psychiatric disorders such as schizophrenia and dementia. Research in the areas of diabetes and nausea also show potential. Cannabis is known as a safe and natural medicine, with virtually zero deaths associated with its use. Research has rated the herb as the least dangerous substance when compared to substances such as alcohol and nicotine in regards to toxicity. The known risks associated with cannabis use inhabit the domains of mental illness. THC, the psychoactive constituent within the plant, has been linked to agitating mental conditions in some people. However, CBD is often taken in an extracted and isolated form, derived from industrial hemp or low-THC strains. CBD is non-psychoactive, and has actually been shown to be antipsychotic. CBD is generally regarded as safe. It exerts its effects on the body in a myriad of ways, acting upon the CB1 and CB2 receptors of the endocannabinoid system indirectly. It also interacts with serotonin, vanilloid, GPR55, and PPARs receptors. Much like any other substance you could introduce to your biology, CBD has its own set of side effects. Although these aren’t necessarily serious, they are worth knowing if you take the cannabinoid, or plan on doing so in the future. A 2017 review published within the journal Cannabis and Cannabinoid Research documents the safety and side effects of CBD. The review discusses the use of CBD within numerous clinical studies, most of them regarding epilepsy and psychotic disorders. The most common side effects of CBD administration appear to be tiredness, diarrhea, and changes in both weight and appetite. Overall, these side effects seem quite minor. The authors of the review state that CBD has a better side effect profile in comparison to other drugs used in the treatment of the medical conditions mentioned above. Another review, this time published in the journal Current Drug Safety, show that CBD has no adverse effects upon physiological parameters including heart rate, blood pressure, body temperature, psychological and psychomotor functions, gastrointestinal transit, and food intake. Most of the side effects regarding CBD have been witnessed in vitro (outside a living organism, such as petri dishes) and in animal studies. These side effects include altering cell viability, reducing fertilisation capacity, and inhibiting liver drug metabolism. Further research using human participants is required to see if these side effects occur in humans. Research conducted on animals doesn’t necessarily correlate directly with that of humans. Although many animals harbour endocannabinoid systems, the route of administration in studies is usually different. Most human studies involved oral administration or inhalation, whereas animal studies usually involve oral administration or injection. These factors can lead to varying blood concentrations of CBD, and therefore different outcomes. One side effect of CBD to be aware of is its effect on drug metabolism within the liver. This is especially important for those taking pharmaceutical medications. CBD has been found to interact with drug-metabolising enzymes such as the cytochrome P450 family. Around 60% of all pharmaceutical drugs are metabolised by the enzyme CYP3A4. It just so happens that this enzyme is responsible for the metabolism of CBD as well. Certain pharmaceutical drugs inhibit this enzyme, which may slow the breakdown of CBD and increase its physiological activity. Additionally, other pharmaceuticals ramp up levels of this enzyme, resulting in a faster than normal breakdown of CBD. If taking pharmaceutical drugs, you should consult your physician before taking CBD. Such interactions may prove to be only a minor issue. CBD also poses beneficial actions on liver enzymes, such as enhancing levels of enzyme CYP1A1, which is capable of breaking down cancer-causing substances like benzopyrene. A 2009 publication within the International Journal of Neuroscience documents a study that administered CBD to patients with dystonic movement disorders. Oral doses of the cannabinoid ranging from between 100–600mg per day were given over a 6 week period along with standard medications. Improvements in movement disorders were seen in all patients, however, some side effects were observed. These included hypotension (low blood pressure), dry mouth, psychomotor slowing, lightheadedness, and sedation. Doses over 300mg per day actually increased hypokinesia and resting tremor. This led researchers to state that CBD has Parkinsonism-aggravating effects in humans. In contrast, a 2014 study published within the Journal of Psychopharmacology concluded that CBD is capable of improving the quality of life in patients with Parkinson's disease. Many cannabis smokers out there will be familiar with the sensations of dry mouth. This usually occurs after smoking a few joints, leaving the feeling a cotton ball residing within the mouth. This can be easily remedied with a glass of water or juice. Dry mouth occurs because cannabis decreases saliva secretion. Cannabinoid receptors of the endocannabinoid system exist within the salivary glands. CBD interacts with these receptors, causing the inhibition of salivary secretion, and thus inducing dry mouth. Cannabinoids such as CBD have been shown to be exceptionally non-toxic, with no fatalities reported. 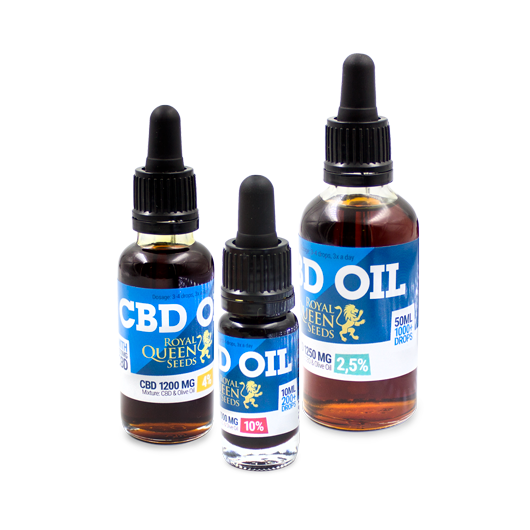 Large doses of up to 1500mg per day of CBD have been shown to be well-tolerated in human subjects. The Department of Health and Human Services states that no signs of toxicity or serious side effects are associated with chronic use of CBD in healthy individuals.